Born at Andeux, France in 1906, Henri Godin was ordained to the priesthood in Paris on 15 May 1933. Very concerned by the situation of the workers, he soon became a prominent YCW chaplain. 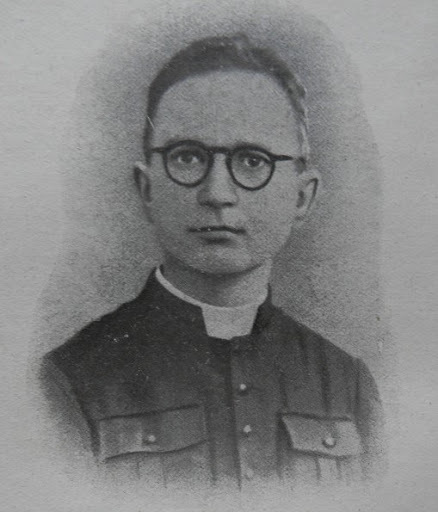 In 1943, together with another priest, Yvan Daniel, he wrote a book France: pays de mission? in which he analysed the "dechristianisation" of the working class in French cities and the need to develop new strategies. Soon after he launched the Mission de Paris to work on this objective. Tragically, however, he died in bed on 16 January 1944 asphyxiated by fumes after a heater caused his woollen mattress to catch fire.